Jim Visser immigrated from Holland to Canada as a child, after the second world war. His family farmed near Edmonton. In 1999 Jim retired from producing seed potatoes to paint full time. From 1975 to the early 1990’s, he studied drawing, printmaking, watercolour and oil painting at the U of A, Faculty of Extension. 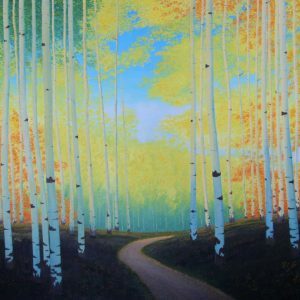 His uplifting work hangs in the Cross Cancer Institute and the new Kaye Clinic; and his work has hangs in corporate and public collections. 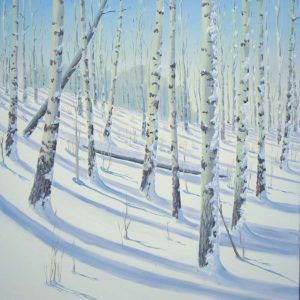 His work has been exhibited in over 35 group and solo shows in Edmonton, Red Deer, St. Albert and Stony Plain.